Plenty of artists create works of art about farms, and there are surely many farmers who are also painters, poets or musicians. Many farms, even, offer artist-in-residency programs so that artists can create and be inspired in a beautiful and simple environment, away from the cares of the real world. But what about the act of farming as art, or the farm itself as an actual work of art? We’re not accustomed to thinking of farming in this way. Farming is about the production of foodstuffs — it’s business (agribusiness), not art, right? A farmer/artist, like Wendell Berry, does his or her farming and then — after the work is done — sets about writing beautiful poems. The material result, the finished artifact as such, is no longer the goal. The essential factor is increasingly the path that leads to it, the creative act. The emphasis then shifts from the stationary work to the active process. But the final result of this is the end of art in the traditional sense. If we shift our focus from the foodstuffs of agribusiness — the carrots, the cuts of meat— to the process or the activity of farming, we can begin to glimpse just how farming can be art — and the farmer, artist— in this emerging, contemporary sense. Like the poet who confines herself to the form and structure of the sonnet, the farmer creates within the physical boundaries of the farm itself, to be sure. But more generally, the creative act of farming plays out largely between the laws of the natural world, on the one hand (things like soil type and hail storms and animal breeds), and the results of human interactions and relationships on the other (social things like property boundaries and taxes and farm labor). The farmer brings their own unique individual capacities and creativity to the realm between these two poles, the realm of the economy. By economy, I mean something a bit different from typical usage. As fellow biodynamic farmer Henning Sehmsdorf reminds us, the term economy comes from the Greek work oikonomos, meaning “household steward.” To be economic, then, comes closer to the modern notion of building natural or social capital, as opposed to the pursuit of profit or money for their own sake (chrematistica). On the economic canvas, the household of the farm, the farmer stewards and orchestrates the complex and dynamic forces at work in the fields and trees, in the crops and livestock. In the compost pile, for instance, the farmer might sense a subtle shift in the dance of materials within— it’s becoming too cold and wet, perhaps. The farmer intervenes, turning the pile to bring in the forces of air and warmth, these tones heightened, maybe, by the addition of a little hot, nitrogenous manure from his chickens. A farmer’s day is filled with countless such artistic moments and happenings, processes within processes, each one different than the last, changing with each passing season and year. There are many failures, many flops, which — thankfully — often the farmer alone witnesses. As she hones her art, the farm becomes more and more a model of economy, more economic. Often, then, the farmer is the only witness to the masterpieces, the triumphs of her art: the sheen of a healthy animal’s flank, the seamless crop rotation, the perfect taste of a carrot pulled fresh from the soil. Such things are satisfying, to be sure, and the material end result of the creative process is of course important — we do need, after all, to eat! Perhaps, though, we are really sustained, at a deeper level, by just how much art goes into the production of our food. 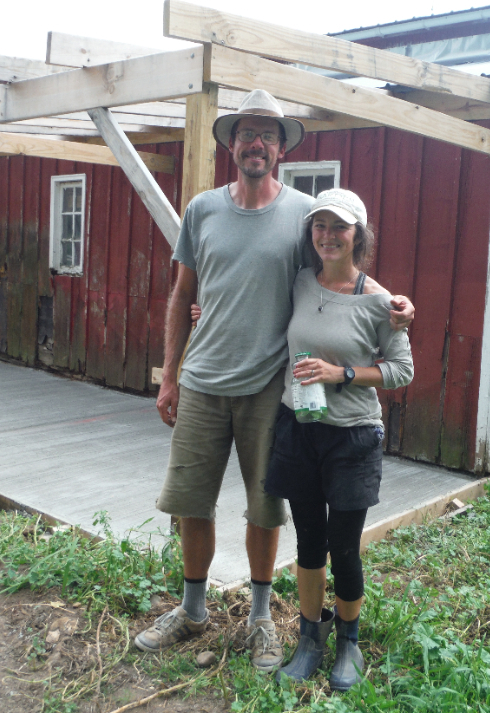 Farmers Kelly and Jeff met while working at Outpost Natural Foods in Milwaukee, WI. Not long after they began working together at Wellspring, a Milwaukee-area farm-based educational organization. 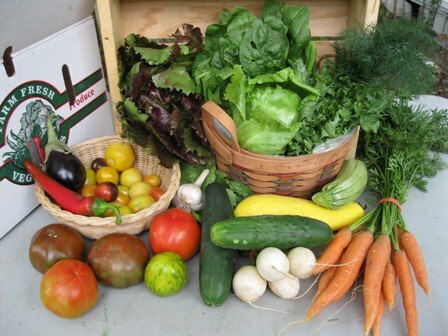 In 2011 they started Three Sisters Community Farm on Kelly's family's land in Campbellsport, Wisconsin. They currently grow six acres of vegetables, raise chickens and ducks, and keep honey bees. Originally printed in the Three Sisters CSA newsletter.